After seeing that Star Wars: The Force Awakens was coming out the same weekend as not only my anniversary but also my move, I was pretty certain I wouldn’t get to see it until the following week. Fortunately for my sanity, my wife is also a fan and we managed to fit it into our insane schedule for the weekend. Since the move revolves around surprises and plot twists, I’ll keep this review spoiler free and friendly to those who don’t want anything ruined. I may, at a later time, discuss some of those things, but not here. I’ve seen a lot of discussion about the movie’s merits, but much of the disappointment (and there is some) is more from those who didn’t manage their expectations. There is no way that JJ Abrams and Disney are going to recreate the Expanded Universe books, page by page. For one thing, there’s too much there and for another, it would strip away all the pleasure of the mystery and wonder of discovery. I loved Timothy Zahn’s Thrawn books and those of Michael Stackpole’s X Wing series, and other books of the expanded universe were fun, engaging, and exciting. What they are not is a good way to write a new and exciting movie. I’ve heard they’re writing new books, set in the new universe. I’ll probably read some of them and I might introduce my children to them, someday. For that matter, I’d love the opportunity to write some of them. Where the movie succeeds is in capturing the excitement, from the very opening crawl to the last, emotional scene, you can feel that this is Star Wars, that the cast and crew poured love and excitement into its crafting, and that it is a movie that your children will want to share with theirs. It did what I hoped it would and resurrected the franchise. Is it a perfect movie? Not in the least. There’s a tone of pandering at times, of giving the audience what they want. As an adult, there were many twists that I could guess at, ones that a child or someone new to the genre probably wouldn’t. Some of the constraints of the good guys, as well, were maddening, but mostly, again, from my own perspective rather than the flow of the film. 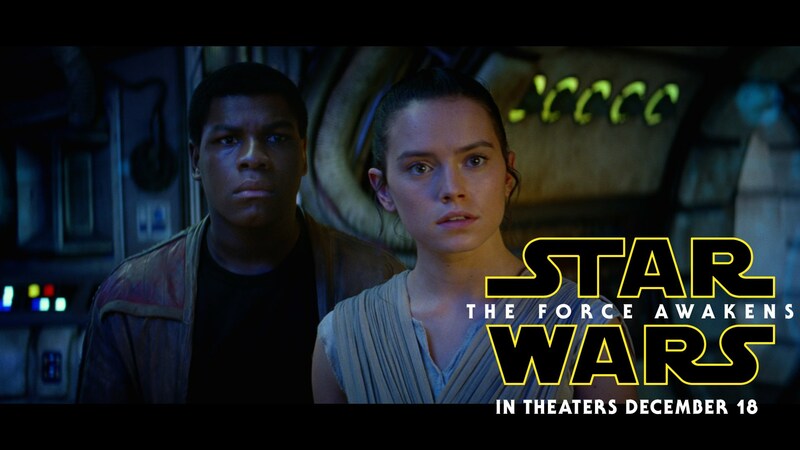 Still, the movie is exceptional in that it breathed new life to the Star Wars franchise. I’m excited to see the next one, thrilled to have spin-offs like Rogue One, and overall filled with questions. I highly recommend the movie to all fans of the original Star Wars trilogy.